On Saturday 13th May 2017, Stourport-on-Severn Brass Band hosted an evening of entertaining music at the Stourport Civic Centre and were delighted to perform alongside talented young musicians, playing ukuleles and strings, from Stourport High School and VIth Form College.? 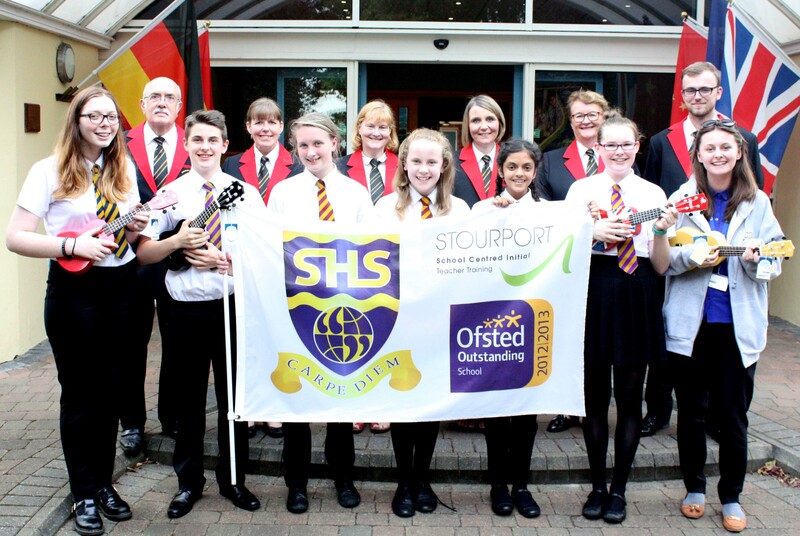 In celebration of the successful evening, members of the Stourport on Severn Brass Band went along to the summer peripatetic concert at the school and to thank the students for their contribution to the concert, proudly presented gifts of four ukuleles to the Music Department. Speaking on behalf of the school, Marc Robins of the music department commented: ?The Ukulele group has been running since 2015. Ukuleles are a great instrument for our students to learn to play and very affordable to purchase.? The department now has 14 and that is fantastic as we can teach more children to play.? Whilst musicality is important, it is really about having fun.? This year, the group also ?went on tour? playing to both Lickey Hills and Wilden Primary Schools.? This is great for our future students to see what opportunities they have when coming to Stourport High.? 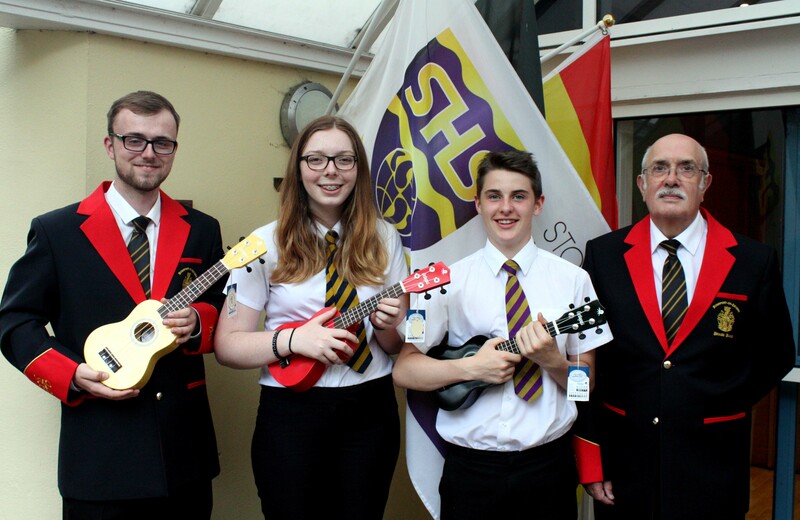 Hannah Styles, one of the Ukulele performers, said that she was very pleased that the school had new ukuleles and that it meant more students could learn to play and join the group.? Jake Robins, student and fellow musician, added that playing ukulele was really good and made people happy. 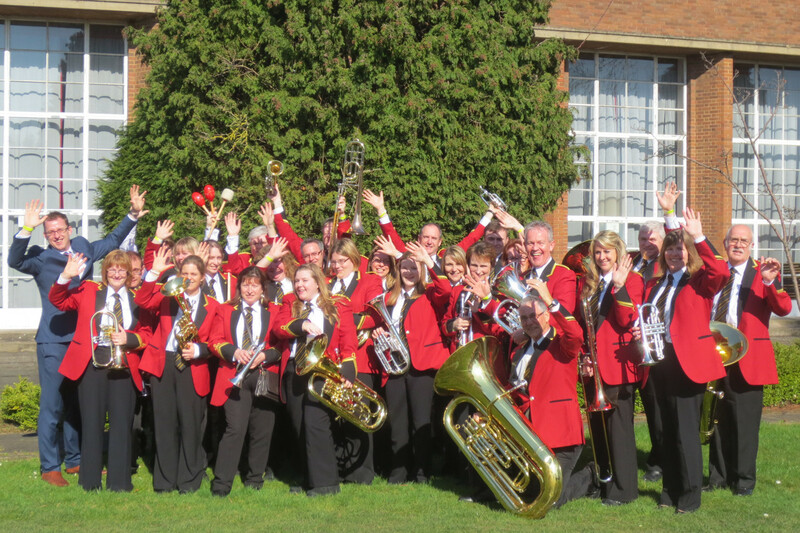 Oli Wilson, Musical Director of Stourport on Severn Brass Band commented: ?The evening concert with our young friends from Stourport on Severn High School was an absolute success.? The band was honoured to perform alongside such talented, musical students who made the event so memorable.? We must encourage young people to participate in music – it provides a focus and opportunity for expression, engagement and promotes artistic culture.?? We very much look forward to our next joint event. ?